"Thank you so much for your support in the fight against cancer in such a fun way! This made my day and I am still smiling." - a note left for us from someone who was currently taking treatment when we flocked them. Flocking has been our main fundraiser and was started in 2014. 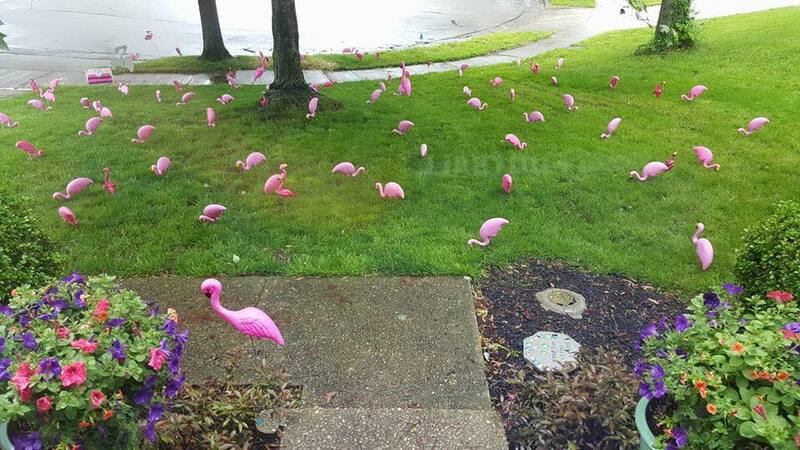 A number of pink flamingos will appear in front yards overnight with a sign informing them who flocked them and ways they can support the cause if they wish. We usually run the fundraiser for 30 days in the spring. We have raised over $21,000 through Flocking with help from our wonderful Lexington community who continue to flock forward.